"Beware, you're in for a scare!" Kick off your Goosebumps pin collection with Curly the Skeleton! True to the original Goosebumps illustrations by Tim Jacobus, this highly detailed pin features bold colors and comes with 2 rubber clutches. 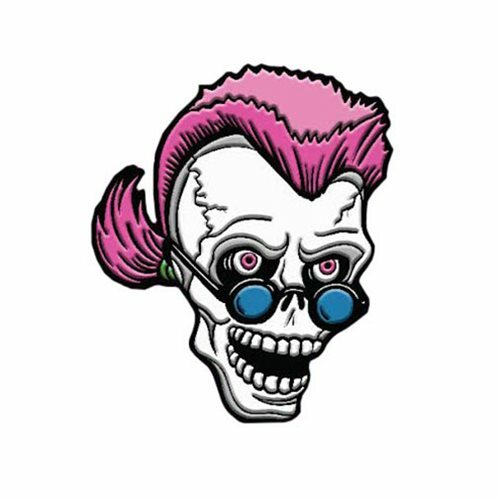 Perfect for your jacket or pin board, this Goosebumps Curly the Skeleton Pin is one you won't want to take off! This pin measures approximately 1 1/2-inches tall. Ages 15 and up.